Library is always an institution’s pride and a treasure house of wisdom. It aids both the students and the faculty to enrich their knowledge. A college library is a part and parcel of college life. Prescribed textbooks are just a guideline for their technological upgradation whereas our college library provides a lot books of different interest. In a college library student and teachers can read even the rare books that cannot afford to buy themselves. A habit of reading books creates through reading in library. A library in a college boundary creates a great attraction of reading. The mission of the Central Library is to provide information services and access to bibliographic and full text digital and printed resources to support the scholarly and informational needs. Our library has an excellent ambiance to read in tranquil. It is spacious and classified into various sections which are labelled accordingly. It plays a vital role in acquisition, organization and dissemination of knowledge. 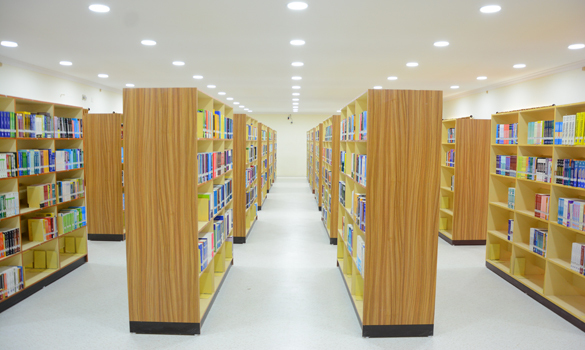 It is well equipped with 5000+ books transmitting knowledge in 5 different branches of engineering besides competitive, fantasy, motivational and other general books. It continuously promotes several national, international journals, magazines and reference books and has a high-speed internet connectivity for e-library with modern facilities and resources in the form of CD-ROMs, On-line databases, books, e-journals, patents, e-standards, thesis, reports, monographs etc. Membership of a library gives one the opportunity of becoming familiar with a large number and variety of books. It helps to stimulate intellectual curiosity and makes the people mentally alert. It raises cultural standards. It also keeps the librarians informed of the needs of the students. A spirit of co-operation is established between the library and its users. Readers meet together and discuss the latest publications, as well as various local and even personal requirements. 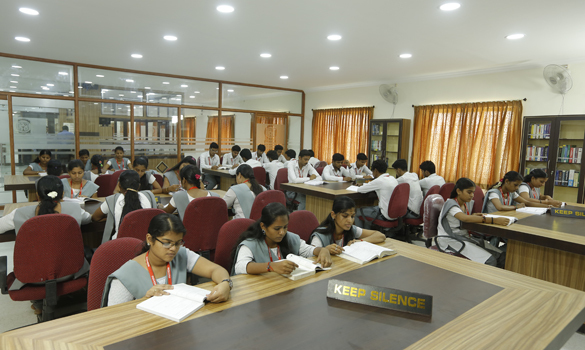 Our college library provides membership for all the students and the faculty to get exposed with the current trend in books and various journals. 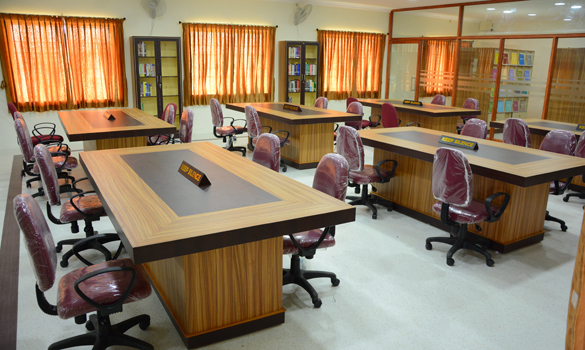 It also offers the students a library hour for the betterment of their reading and to stimulate their inquiring minds. Online Public Access Catalogue Facility. Spacious, Air Conditioned Reading Hall.